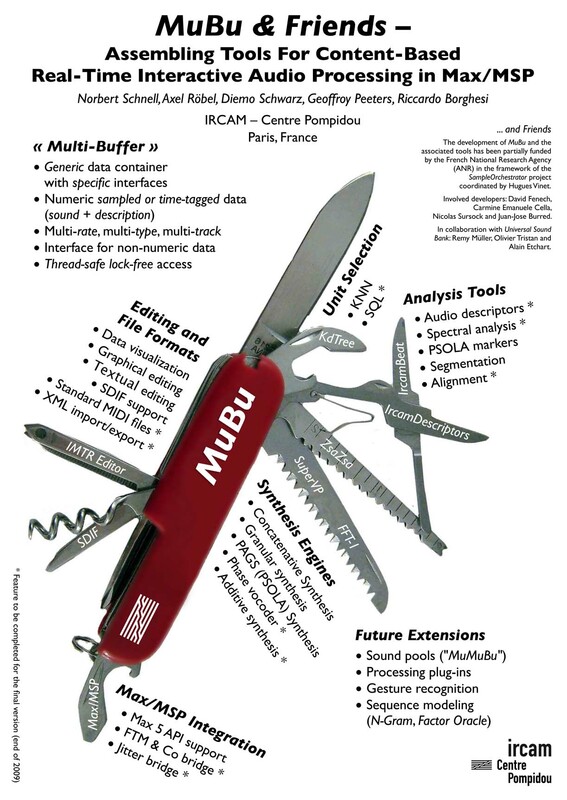 The MuBu multi-buffer is a multi-track container for sound description and motion capture data. We are currently developing a set of Max/MSP externals for content based real-time interactive audio processing around the MuBu container. A set of Max/MSP externals has been freely released at the IRCAM Forum. Please visit the MuBu Forum page and discussion group. This page was last modified on 28 November 2012, at 08:26.